The four young men will each receive almost $7 million, the largest individual payments for U.S. Catholic sexual abuse on record. The New York Diocese of Brooklyn and a co-defendant have reached a $27.5 million settlement with four men who were sexually abused as boys by a lay church education director, the diocese said Tuesday night. Each of the young men will receive $6.875 million from the diocese and an affiliated after-school program under terms of the settlement, said Ben Rubinowitz and Peter Saghir, the attorneys for the young men, who have remained anonymous. In terms of individual payouts, it is the largest settlement on record involving abuse of minors by Roman Catholic Church figures, almost double the amount received by two victims in Rockville Centre, New York, in 2008, according to records maintained by Bishop Accountability, a nonprofit that monitors abuse allegations against Catholic priests and officials. 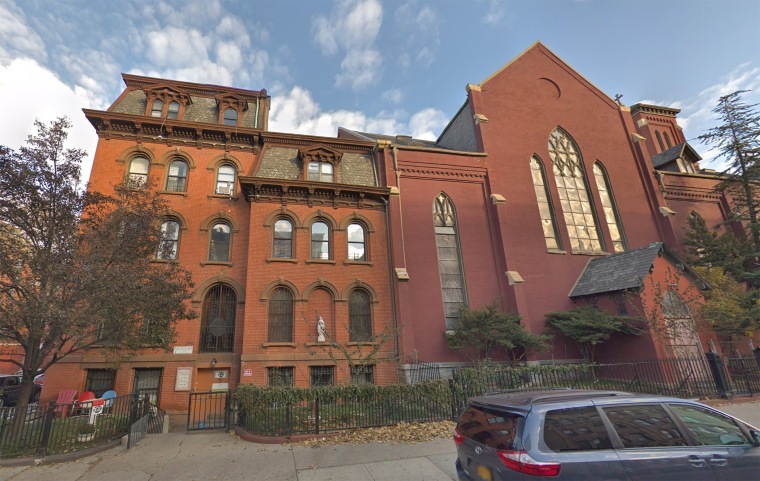 The men, who are now 19 to 21, said in court documents that they were repeatedly raped from 2003 to 2009 by Angelo Serrano, 67, a former director of religious education at St. Lucy's-St. Patrick's Church in Brooklyn. Serrano was arrested in 2009 and pleaded guilty to first-degree sexual conduct. He is serving a 15-year prison sentence, with his earliest possible date of release on July 2022, according to prison records. The plaintiffs alleged in court documents that priests at the church knew or should have known that Serrano was sexually abusing children. One of the priests testified in a deposition that he saw Serrano kiss an 8- or 9-year-old boy on the mouth in the church office but didn't report the conduct. "Unfortunately, we know of other boys who were severely abused by Serrano; however, the statute of limitations prevents their claims from being brought," the young men's attorneys said. In a statement, the diocese confirmed the settlement, saying it hoped the agreement "is another step forward in the healing process for these claimants." Serrano "was not clergy or an employee of the diocese or parish," a spokeswoman said Tuesday night. "The diocese endeavored to reach this settlement in a way that compensates Mr. Serrano's victims and respects their privacy." The settlement was reached less than two weeks after New York Attorney General Barbara Underwood subpoenaed the state's eight dioceses as part of a civil investigation into how the church reviewed allegations of sexual abuse. She cited the bombshell report produced by a Pennsylvania grand jury that concluded that about 300 priests in the state had sexually abused more than 1,000 children over 70 years.